Joint sealant is composed of 100% virgin expanded PTFE. Expanded PTFE provides near universal resistance and good compressibility. 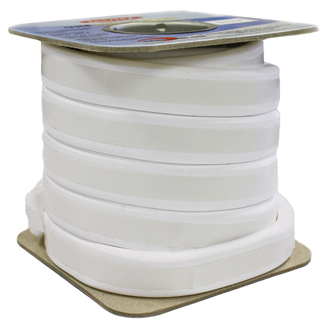 The joint sealant rope has a peelable tape on one side, allowing for easy installation. Joint Sealant is suitable for FDA applications. Hi-Tech Seals' Gasket Division distributes joint sealant by the spool. Spool length varies based on the cross-section.